Agnieszka Adamczak has graduated with honours from Poznań Music Academy in solo singing classes conducted by prof. Katarzyna Rymarczyk. She has improved her vocal skills at courses of Renata Scotto, Francisco Araiza, Kaludi Kaludov, Ion Buzea and Helena Łazarska. In 2005 Agnieszka made her debut as Pamina in W. A. Mozart’s Die Zauberflöte at the Grand Theatre in Poznań. In 2006 she was chosen from among 450 singers (approx.) for the title role in Franz von Suppé’s opera Die schöne Galathee, which she has performed successfully in an international casting during the Kammeroper Festival in Schloss Rheinsberg, Germany. In 2008 –2010 Agnieszka was engaged in the Internationale Opernstudio in Zurich. She took part in the following performances at the Zurich Opera: Peer Gynt – as erste Säterin, Kinderring - as Woglinde and Helmwige, Die Zauberflöte for children - as Pamina, Die lustige Nibelungen - as Krimhild, Der Ferne Klang - as Mädchen and in Luisa Miller - as Laura, she also sang numerous concerts in Switzerland. In 2009 she won first prize in Anneliese Rothenberger vocal contest in Germany (Anneliese Rothenberger Wettbewerb – 2009). In the same year she became the laureate of the Concorso Internazionale di Canto “La Bohéme” and later performed the part of Musetta in Teatro Filarmonico in Verona. In 2010 she won second prize at the International Hans Gabor Belvedere Singing Competition in Vienna and performed at the Grand Théâtre de Genève , where she sang the role of Nicoletta in Prokofiev’s opera L'Amour des trois oranges. In 2011 Agnieszka was invited by the well- known British recording studio Hyperion to take part in the recording of Huit Chansons polonaises by F. Poulenc together with one of the world’s most renowned accompanists, Graham Johnson. 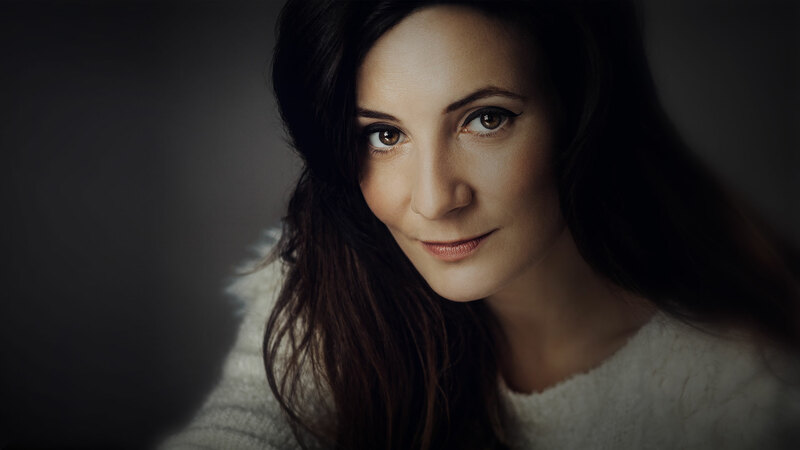 In this very year Agnieszka returned to the role of Musetta in the opera La Boheme, this time at a famous opera festival Glyndebourne on Tour in Great Britain. At the beginning of 2012 she took part in the Mozart Residence project in which she performed famed arias and group scenes from W. A. Mozart’s masterpieces at the Opera Gala during Aix- En- Provence Festival in France. In 2013 she was invited at a festival to Jordan where she performed with the international cast the part of Fiordiligi in Cosi fan tutte. In 2014 she had the pleasure of debuting on the stage of the Opera de Oviedo in Spain, where she took part in the production of Mozart's "Don Giovanni" as Donna Elvira. In the same year she repeated her participation in the opera by Mozart, but this time as Donna Anna at the Grand Theatre in Poznan. In 2014 she made her debut in "The Haunted Manor" by Stanisław Moniuszko under the watchful eye of the famous actress and director Krystyna Janda at the Grand Theatre in Lodz. In January 2015 she again starred in the role of Donna Elvira at the Teatro Baluarte in Pamplona, Spain. In February 2015 she appeared in Richard Strauss opera "Ariadne auf Naxos" as Najade at the Zurich Operahouse in Switzerland. Fabio Luisi, Pablo Mielgo, Jakub Hrůša , Michael Jurowski, Eivind Gullberg Jensen, Jochen Rieder, Ingo Metzmacher, Massimo Zanetti, Andrea Battistoni, Gabriel Chmura, Mieczysław Dondajewski, Piotr Deptuch, Marcin Sompoliński and with directors like Matthias von Stegmann, Jens- Daniel Herzog, Damiano Michieletto, Ivan Stefanutti, Alfred Kirchner, Pippo Delbono and Ryszard Peryt. Copyright © 2019 agnieszka-adamczak.pl All rights reserved.